Máiréad Nic Craith joined the Department of Languages and Intercultural Studies as Professor of European Culture and Heritage in September 2012. She previously held a Chair in the School of Social Sciences and Applied Social Studies at the University of Ulster. Máiréad has held an honorary professorship at the University of Exeter as well as a DAAD guest professorship at the University of Göttingen. She has held other academic positions at the Universities of Liverpool, Dublin and Cork. She has received many accolades for her publications, including the Ruth Michaelis-Jena Ratcliff research prize for folklife (joint winner), which was awarded at the University of Edinburgh in 2004. Two years later she was awarded a Senior Distinguished Research Fellowship at the University of Ulster. In 2009 she was elected to the Royal Irish Academy, the highest academic honour in Ireland. 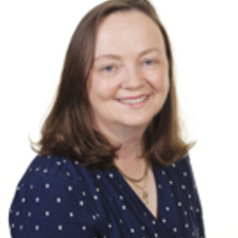 Máiréad has served on numerous research evaluation panels in Europe and in Canada. She has recently been appointed assessor to the Australian Research Council. Máiréad’s research focuses on different aspects of living heritage including literary heritage (from the Great Blasket Island), intercultural heritage (Cork), World Heritage sites (Skellig Michael), heritage and conflict (Northern Ireland) and heritage and law in a European context. Her recent publications include an exploration of the role of heritage in the Derry/Londonderry (the first UK City of Culture). Máiréad has published a number of edited volumes on heritage including Cultural Heritages as Reflexive Traditions (2007 with Ullrich Kockel) and Cultural Diversity, Heritage and Human Rights (2010 with William Logan and Michele Langfeld). She is currently co-editing the Blackwell Companion to Heritage (due for publication in 2014). In 2011, she was invited by the United Nations as an expert on access to heritage as a human right. Language, power and cultural policy in European society have also been a sustained focus of interest throughout Máiréad's academic career. In 2009 Máiréad held a Leverhulme Research Fellowship examining the sense of dislocation that is experienced by bilingual authors living ‘in-between’ two cultures and two languages. She has explored key questions, such as the impact of political boundaries on the concept of language and the significance of language for citizenship. Máiréad has examined the quest for recognition and legitimacy among speakers of minority and contested languages and queried the non-recognition of migrant, non-European languages in the public space. In 2013, she was invited by the European Centre on Minority Issues as an expert on (linguistic) minorities.